Rather curiously, there is a small Island placename in Dunvegan Bay, off the Scottish Isle of Skye, which is called in gaelic Eilean Isa (“Island of Jesus”). In the Middle East Jesus was known by the Arabic name of Isa (“God saves”). The name Jesus was derived later from the Greek language. 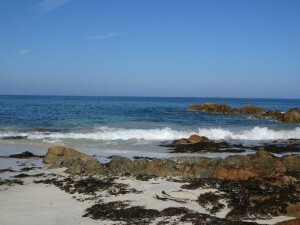 Although the gaelic name for Jesus is Iosa, it is interesting to note that this small Scottish Island has been named using the Middle Eastern spelling. Furthermore, there are said to be ancient records in Tibet which refer to Jesus as Saint Isa or Issa and that He visited Nepal and India. Interestingly, there are no religious sites on Eilean Isa (currently spelt Isay) or anything to suggest that it’s name was conceived from a religious dedication. So it could be conjectured that the “Island of Jesus” was so named as a result of it being sanctified by the presence of Jesus (Isa) Himself. During the early centuries A. D. a placename was often given to record the actual presence and sanctification of a specific place by the early Celtic Christian monastic saints. Could this explain why the “Island of Jesus” was thus named to record the actual presence of Jesus on this particular Island. Moreover, legends and folklore also associate Joseph of Arimathea, uncle of Jesus, with the Scottish Isle of Skye. 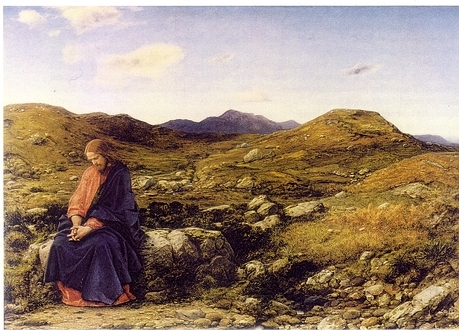 In 1860, a leading Scottish pre-Rafaelite painter, William Dyce, produced a dramatic portrait of Christ in the Highlands of Scotland. What could have prompted or inspired this intriguing association? Did William Dyce have some knowledge of an old oral tradition suggesting that Jesus had visited Scotland? To paraphrase the English visionary and mystic poet, William Blake – And did those feet in ancient time walk upon Scotland’s mountains green?